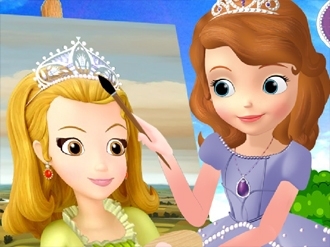 Sofia the first is taking painting lessons and wants to become a faimous artist. Now Sofia wants to practice by painting Amber. This painting is going to be great.